One of you at RS recently shared the need to add recycling bins to the bathrooms in our homes. What other new ideas are you all trying to implement that will help to protect our earth? On this 8th day of the Counting of the Omer, we honor the sacred creation God renews each day. Baruch Ata Adonai, Elohenu Melech ha-olam asher kidishanu b’mitzvotav vitzivanu al s’firat ha’omer. Blessed are You, Eternal our God, Ruler of the universe, who makes us holy with sacred actions and enjoins us to count the omer. Hayom shimonah yamim, shehem shevuah echad veyom echad la-aomer. Today is 8 days, which are one week and one day of the omer. On June 23, the Young Friends of Rodeph Shalom hosted the Toast for Trees fundraiser to directly benefit the Buerger Early Learning Center, making it a better and greener place for kids to play. Trees will help soften the edges of the Synagogue, improving and beautifying the neighborhood. The tree planting will engage younger audiences in RS while managing stormwater, reducing heat island effect and greening the City. 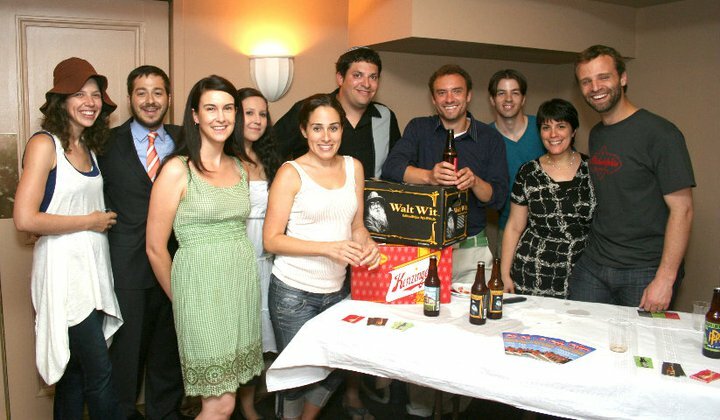 The event was a lot of fun for all involved and included raffle prizes and samples from the Men of RS Brewing Club, Old City Coffee, Bird Song Wines, Y+B Wines, Philadelphia Brewing Company, Las Bugambilias, The Khyber Bar & Dos Segundos Restaurant. The Toast for Trees committee sample the home-brewed beer the Men of RS were graciously sharing. Check out more pictures from the event at Rodeph Shalom’s Facebook page! You are currently browsing the archives for the Greening Initiative category.